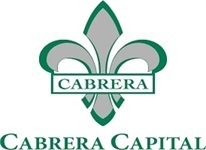 Cabrera Capital Markets is committed to the communities we serve. Through our corporate citizenship program we support numerous non-profit organizations, educational institutions and agencies that provide services and support to neighborhoods and individuals. In addition to program sponsorship, we also encourage and allow our employees time to volunteer with organizations of their choice. Ultimately, the goal is to make a positive impact within local communities and on individual lives. In particular, we are proud of our sponsorship and support of various student programs which contribute to the personal growth and educational success of our future leaders. We will continue to sponsor, support, volunteer, and participate in programs that provide access to opportunities -- fundamental to our principles and corporate citizenship commitment.